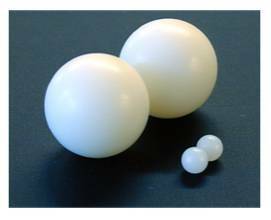 Plastic Bearings are Lightweight, Low Friction, Lube Free, and Can be Run In Liquids. 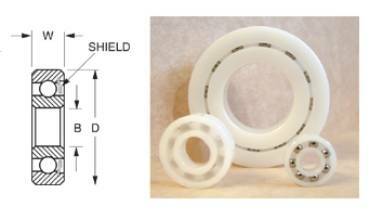 Bearing Rings Can Be Molded To Integrate With Customer Applications. Specials Made In Low/High Quantities. Services Include Prototyping, Pilot Runs & Custom Designs. Many different types of plastics have properties which make them suitable for bearing applications, the most commonly used are phenolics, acetals, UHMWPE, and nylon. The major limitations involved in the use of plastics have to do with high temperatures and possible cold flow under heavy loads.